• Service is provided origin to destination. • Vehicle may arrive 15 minutes before or after your scheduled pick up time. Please be ready! • Driver will wait no more than 5 minutes at the curb. • All trips must be scheduled at least 24 hours in advance and are subject to availability. • Transportation will be provided within 100 mile radius of Perry County Transit office when available. • Transit services may close for severe weather. Every attempt will be made to notify the passenger if a trip must be cancelled due to inclement weather or you can tune to WYBZ 107.3. 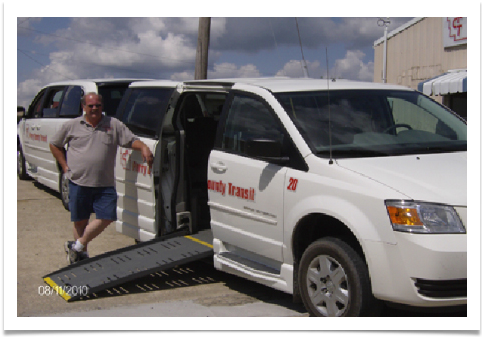 • Same day transportation may be available on a first come, first served basis and is subject to availability with additional same day service fee of $2.00. To make a reservation, you will need to provide your name, pick-up point, destination, time of trip, and a telephone number. If accommodations such as a wheelchair or a personal care attendant is necessary, please inform person taking reservation. If the trip cannot be confirmed at the time of the request, transportation personnel will call back to either confirm or deny the request. If the passenger has no phone, it is his /her responsibility to call the office to confirm. Vehicles will not be dispatched without confirmation. • Seatbelt must be worn at all times. • Remain seated at all times. • Respect the driver and the other passengers. • Drivers are NOT permitted to enter the place of origin or destination. • No weapons are permitted. (ORC 2923.1212). No open containers of alcoholic beverages or illegal drugs are permitted to be transported in or on PCT vehicles. • In an effort to keep passengers safe, shirt and shoes must be worn at all times. • Wheelchairs will be properly secured by the driver for the safety of all passengers. • Physical contact with the driver is not permitted. • Perry County Transit will not go through a drive-thru. Each stop is considered a separate trip and will be charged accordingly. • Please have exact change ready. Drivers are not permitted to make change. • Any reservation out of county up to 50 mile radius from the Perry County Transit Office is $10.00 each way. Seniors (65 and older) and people with disabilities are eligible to pay a half price fare if their application is approved. Half Price fare is also given to an individual with a Medicare ID. 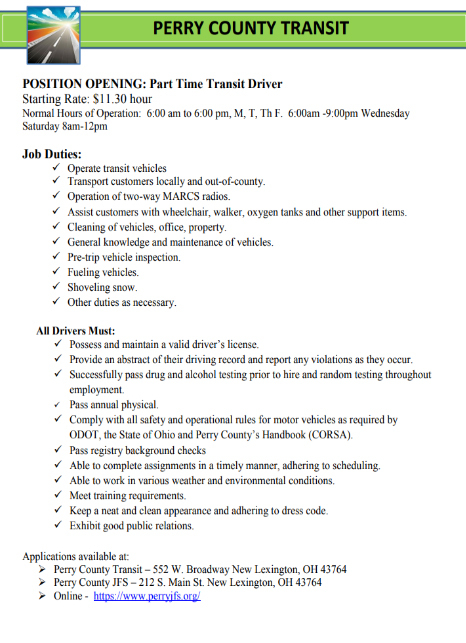 Online application or available at the Perry County Transit Office. 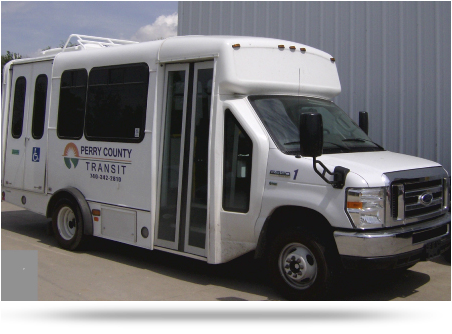 Perry County Transit complies with Title VI and Civil Rights Laws.